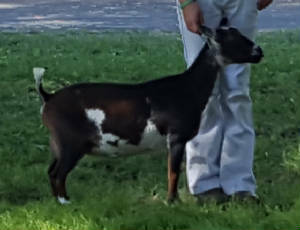 Lovebug is definitely the farm favorite. 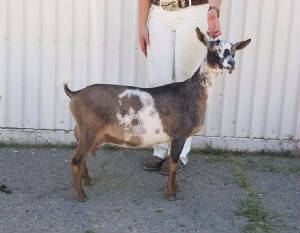 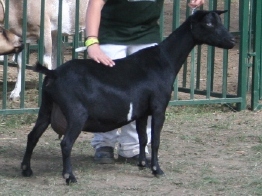 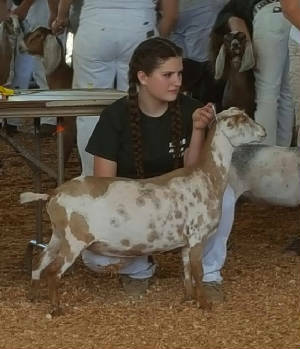 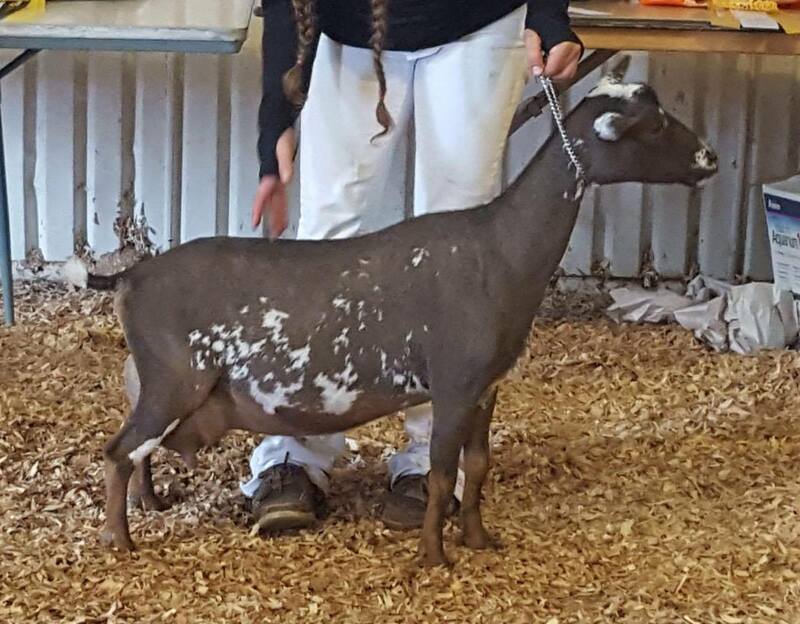 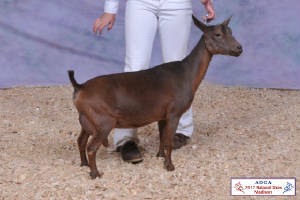 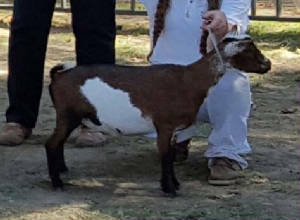 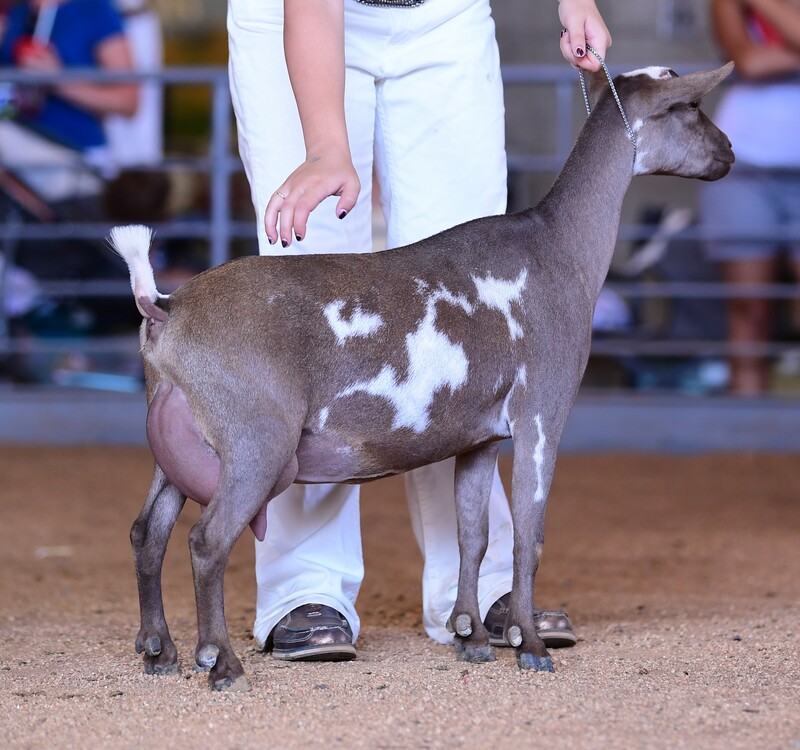 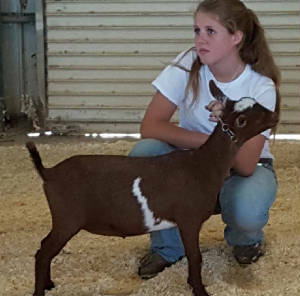 Judges always comment on how striking she is when she first walks into the show ring. 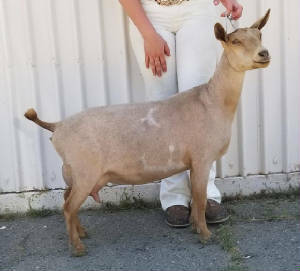 We has the most hilarious personality ~ we just love this goat!